Book your tickets for Silver Social's upcoming tour of The Little Love Cabaret, performing in Breckland villages 2nd - 6th July. "Somewhere between a sketch show, rom-com & glitter bomb! Join us for an all singing, all dancing afternoon of joy." Free local transport is also available to those without access to a car or public transport, please get in touch below for assistance. 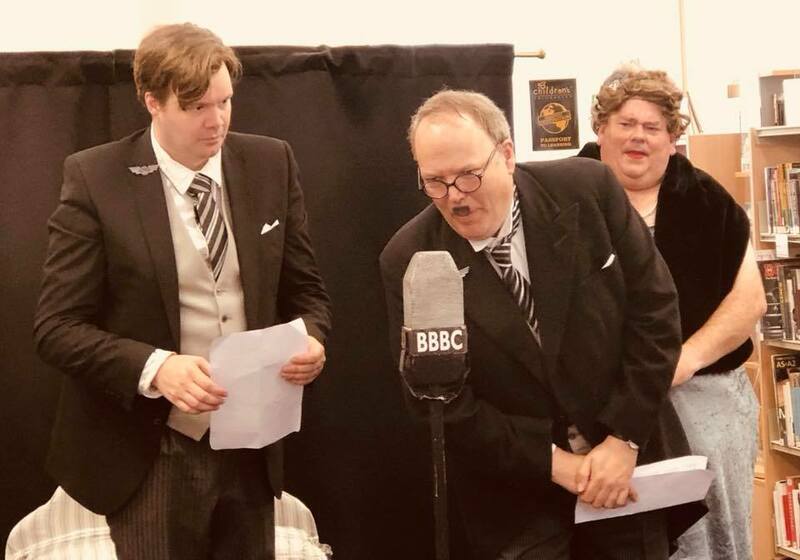 Audiences in Breckland have been delighted by the Ministry of Biscuits, a tongue in cheek musical comedy set in a 1984-esque world of repressed biscuits. Performed by The Foundry Group, the show toured the district's libraries for a one off week of matinees in Watton, Dereham, Attleborough, Thetford and Swaffham. Ministry of Biscuits is the first in a series of live performances happening across Breckland this summer as part of Silver Social. Up next is The Little Love Cabaret by Spiltmilk Dance, performing in villages 2nd - 6th July. Full details here.